So you have a special Witch in your life, and their birthday (or Yule!) is coming up. 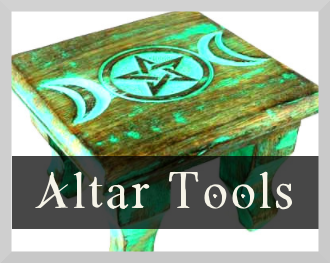 While altar tools, tarot decks, etc, are wonderful gifts to give, some practising witches feel that these are the kind of things a person should pick out for themselves, since they are highly personal items. Books are another fantastic gift idea, but many Wiccans already have a large magickal library, so you need to make sure that they don’t already own a copy of it! So what to do when you want to give someone a gift honouring their magical lifestyle? Well, we’ve scoured the web to find some truly unique Wiccan and pagan gifts that you might not otherwise have thought of. 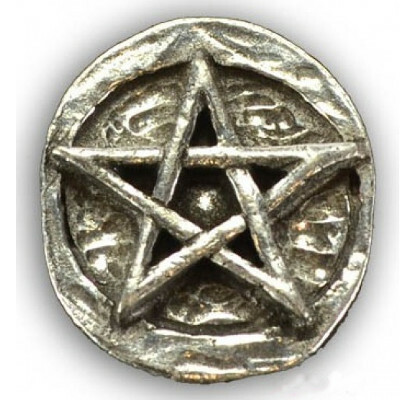 This pentacle pocket charm from All Wicca is made of pewter, and is intended to be held during meditation as a focal charm. It can also be used as a mini pentacle altar tile for a travel altar, and can be enchanted and turned into a talisman or amulet! 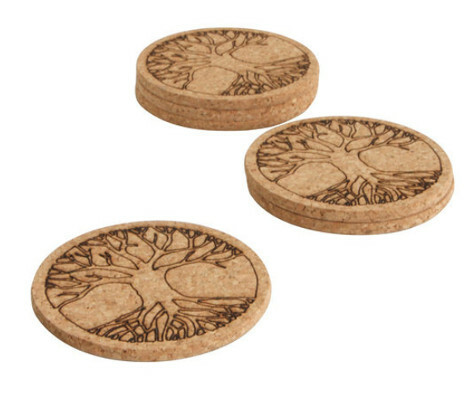 These tree of life coasters come as a set of six from Buddha Groove. They are handmade from natural cork, and will provide a beautiful, natural feel to any coffee or dinner table. 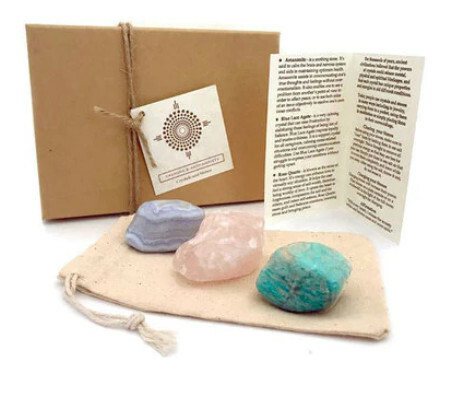 This crystal set from Buddha Groove contains three crystals to inspire inner peace and calm, as well as a card with affirmations and information about the crystals. There are also other crystals sets to choose from, with subjects such as health and luck. 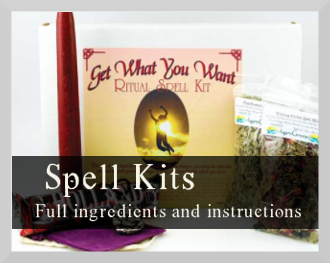 The crystals come in a small fabric bag, and the whole kit is contained in a cute little box. 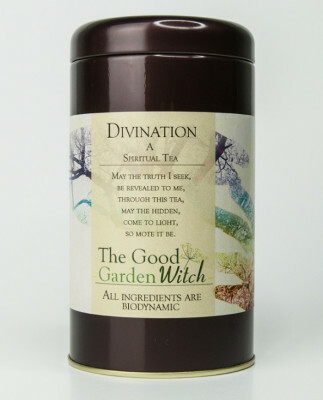 This divination tea from Mystical Moon Store is magically blended with herbs that help you connect with your Higher Self for mediumship, channeling, tarot and psychic reading sessions. They come with an affirmation that is meant to be chanted three times before ingesting the tea (but putting the teabag under your pillow is also efficient). 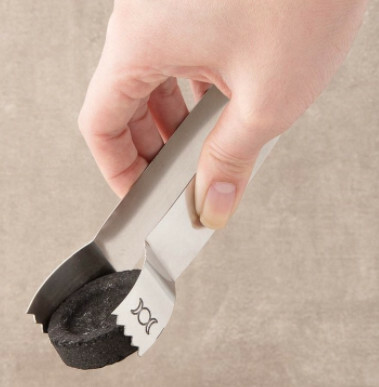 These triple moon charcoal tongs from Sivana Spirit make a great gift for the Witch who uses charcoal to burn incense! They are used to hold the charcoal briquette while lighting it – a truly practical Witchy gift! 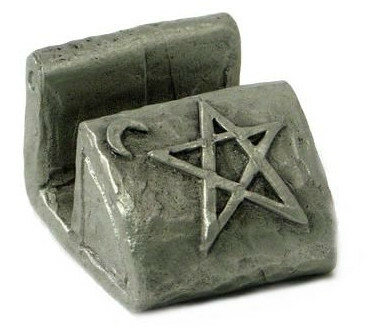 This pentacle card stand from All Wicca is made from pewter, and is a versatile gift – your Wiccan friend can bring some magick into their mundane life by using it to hold business cards, letters, or various notes. It can also be used on an altar, to hold affirmations or spells written on index cards, or individual tarot cards when used in spells. 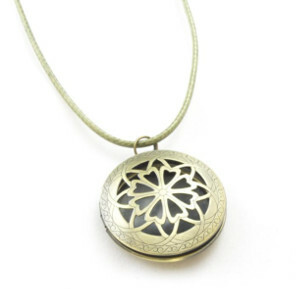 This locket from The Hippie Diva is a wonderful gift for any Witch who works with aromatherapy and essential oils. Inside the locket is a felt disc which you can drop essential oils on, in order to carry the scent around with you all day long – a great way to raise your vibration and carry magick with you into everyday life, especially if the oils are specially consecrated before use. 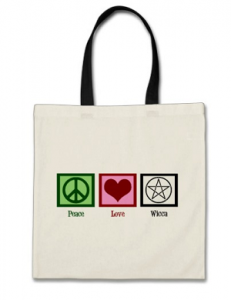 This tote bag is designed by Epic Designs, and the message of this encapsulates all of what Wicca is about – wear this tote bag and be an ambassador for the peaceful and loving practices that Wiccans promote! The strap colours of the bag can be customised. 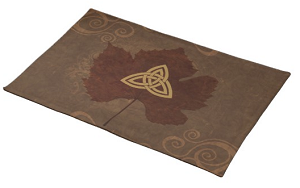 This placemat from Selene Designs is made from 100% woven cotton, and can also be used as an altar mat – it would look especially good featured on an altar decorated for an autumnal sabbat! If you would prefer to give them as placemats, then buy a set of two or four instead. 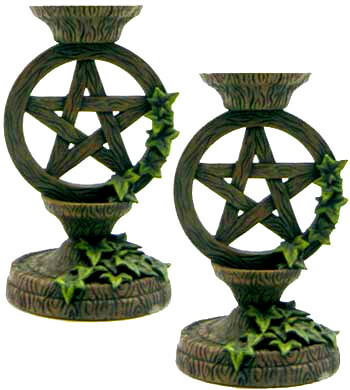 This pair of pentagram candle holders from Wiccan Spells Shop make a beautiful gift for the Wiccan who wants to add a touch of rustic beauty to their home. They are made from resin with a wood-grain finish, and they look equally beautiful on an altar as they do anywhere else in the home! These pentacle wine charms designed by Chrome Dreaming are perfect for the Witchy friend who likes to throw a dinner party. The wine charms are on a white background as a default, but can be customised, so you can choose a different background colour for each charm if you wish – very handy to keep track of whose drink is whose during parties! This resin-cast chalice from Wiccan Spells Shop is beautifully designed with a tree of life and Celtic patterns, and can be used as a ritual chalice as well as decor. The stainless steel cup inside is removable for easy cleaning. 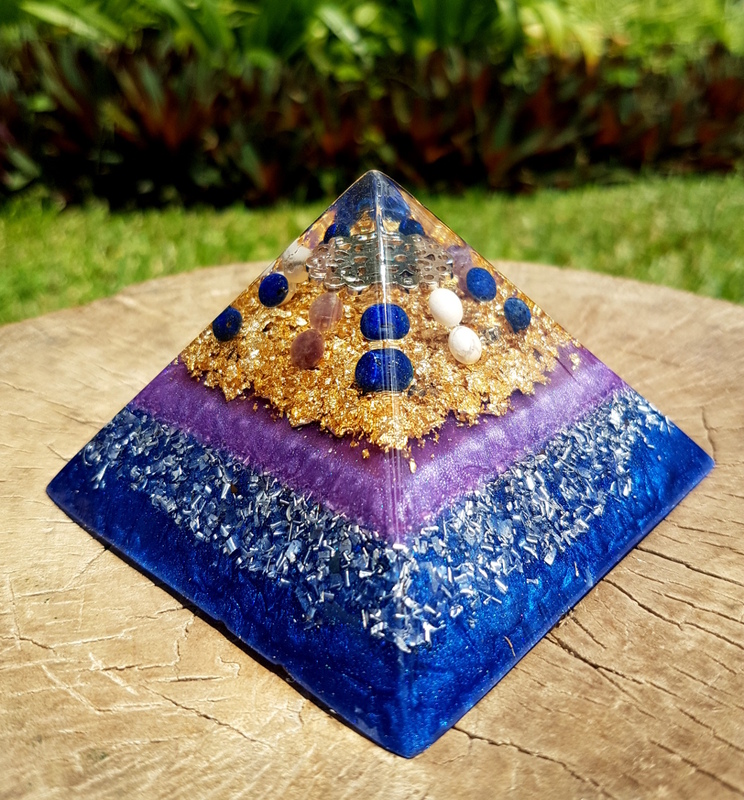 An orgonite pyramid balances stagnant energy, and is also used as an amplifier for crystal healing. 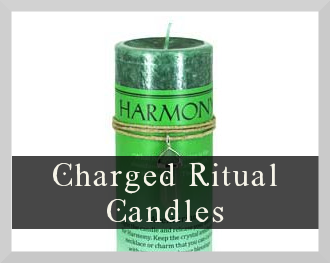 It can be used in magick and rituals to raise vibration and as a focal point for intention. Orgonise Yourself sells handmade orgonite pyramids with many different types of crystals, as well as healing orgonite pendants. 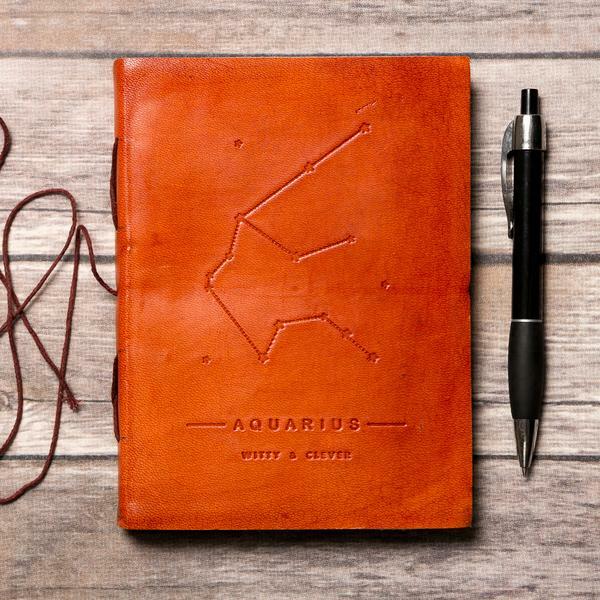 Why not get your Wiccan friend a journal for their astrological sign from Soothi? The journals are handmade with leather and quality paper, and can be used for spells and rituals, or random musings! This healing chakra stone set from Buddha Groove makes a wonderful gift for the Witch who loves crystal healing. The stones can be used one by one in meditation, or can be placed on the chakras to heal and balance them. The wood-cut gift box is stunning, and can be used to store the stones, or can be used separately as beautiful wall art! 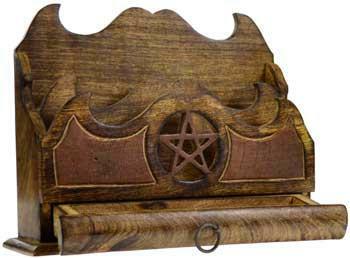 This beautiful wooden pentacle letter holder from Black Magic Witch is a gift nearly any Witch could use – either for mundane purposes, or to hold spell and ritual papers on the altar. 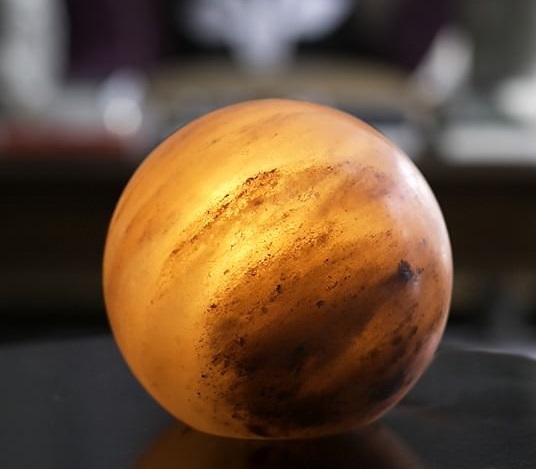 Himalayan salt lamps are a fantastic addition to any spiritual person’s home, as they purify energy and raise vibration, but this sphere-shaped salt lamp from So Well is a extra witchy, since it looks like a crystal ball (technically, it could be used for scrying too). 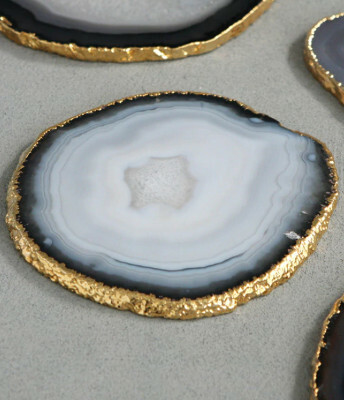 These gilded coasters from Buddha Groove are made from natural agate, which has a strengthening and stabilising energy. Glasses of water placed on the coasters will be infused with this energy, and the added bonus is that they look stunning and unique! 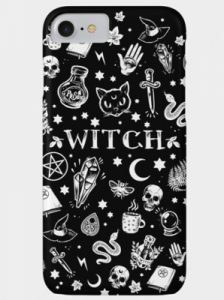 This cute witchy phone case (for all types of phones) can be found at Design by Humans, and the background colour can be customised. If you like the design, you can also order it as a shirt or an art print! 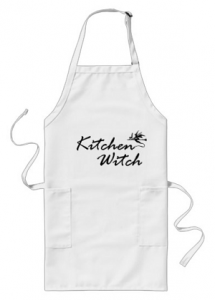 This is the perfect gift for anyone who identifies as a Kitchen Witch, but even witches who simply love cooking will appreciate this gift. The apron is designed by CackleTees, and can be customised for a white, yellow or khaki fabric. 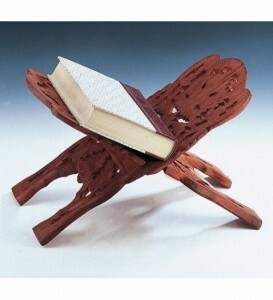 This beautiful hand carved book stand from All Wicca is accented with leaves and scrolls. It’s perfect for holding a Book of Shadows or other spell book open while at the altar, and is foldable, so can be stored away when not in use. 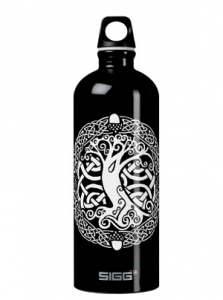 This tree of life travel bottle designed by Aethelwulf is one of the most practical gifts on this list – who couldn’t use an extra water bottle? It’s lightweight, made from aluminium and you can choose between black, red, blue, white and grey as the main colour. Here’s another phone case, this time designed by CD Symbols. 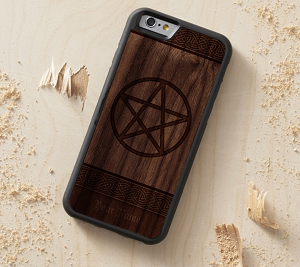 This time, it’s a more rustic look, with a pentagram printed on a real wood phone case. You can customise it with text of your choosing at the bottom, and choose between a few different wood types. 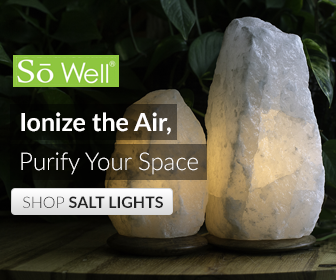 These beautiful tea-light candle holders from Buddha Groove are made from naturally occurring crystal clusters, and make the perfect gift for a Witch! 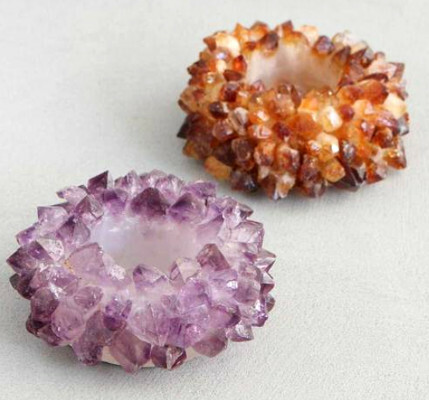 You can choose from amethyst, which is a calming and protective stone, or citrine which inspires confidence and success. 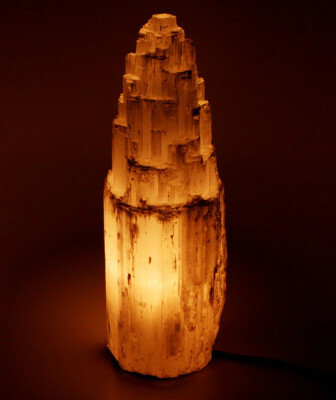 This beautiful selenite lamp from Buddha Groove gives off a wonderful glow, and has healing properties on top of that – selenite is a balancing and calming crystal, and is said to purify your surroundings. 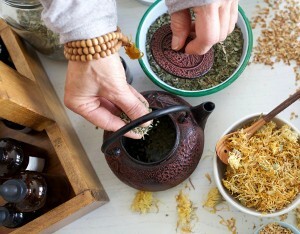 For something a little different, why not get your Wiccan friend a herbalism course from The Herbal Academy? The Academy has a wide range of courses to choose from – from courses for absolute beginners who just want to learn the basics, to advanced herbal courses aimed at people who want to become professional herbal practitioners. 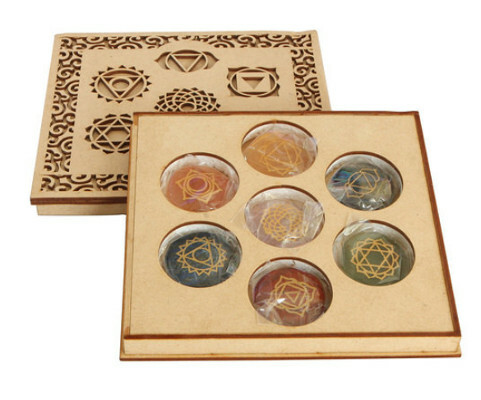 This seven-chakra candle set from All Wicca contains a different blend of essential oils to correspond with each chakra. 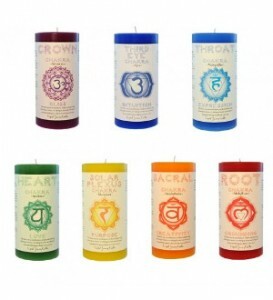 Candles can be lit when meditating on balancing the particular chakra that the candle corresponds with. 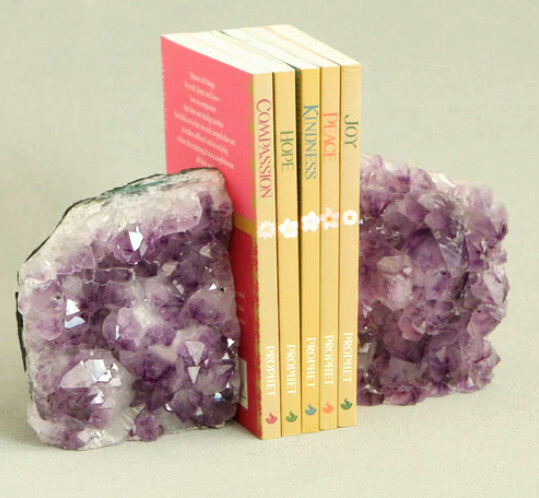 These amethyst cluster bookends Buddha Groove. 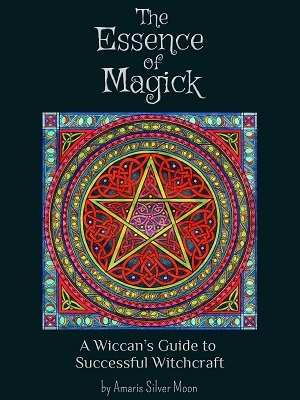 are a wonderful gift for the Wiccan book lover – and many of us tend to be just that! These book ends are stunning, yet practical – who wouldn’t want to display these beauties on their bookshelf? 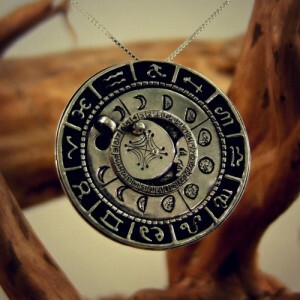 This stunning handcrafted talisman from Ka Gold is also a mini lunar calendar which lets you track the movements of the moon in its phases and zodiac signs. 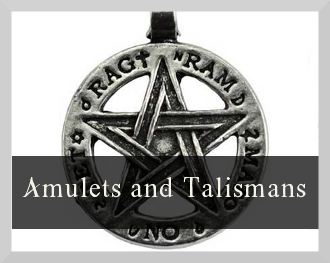 The talisman is designed according to sacred knowledge based on Kabbalah, sacred geometry and ancient Egyptian wisdom, and is designed to attract love, sensuality, beauty, art and empathy. 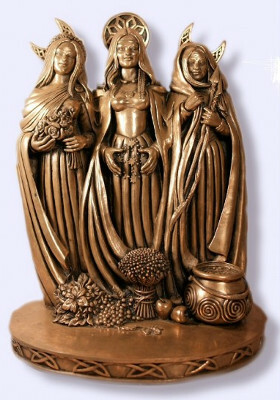 This beautiful bronze statue from All Wicca depicts the triple Goddess – the Maiden, Mother and Crone. Many Witches would keep this on their altar to symbolise the Goddess, but it can also be placed in any part of the house as decor, bringing magickal Goddess energies into everyday life. 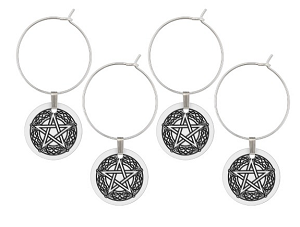 When it comes to gift wrapping, head over to Zazzle, which has a wide selection of Wiccan birthday cards as well as Wiccan wrapping paper. We hope you’ve been inspired to find the perfect present for the special Witch in your life!